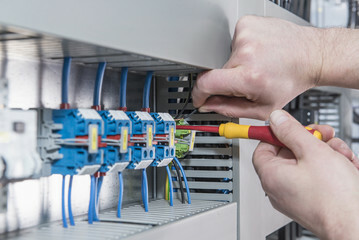 We provide excellent electrical services for any service work you need done, whether it is long-term maintenance for your office building or new department store, updating or replacing old wiring, or making sure that task-critical electrical equipment is running properly. We have the ability to work with a general contractor and other trades present on job. Contact us for your electrical service, If we can’t help, we’ll gladly point you in the right direction or refer you to someone who can.